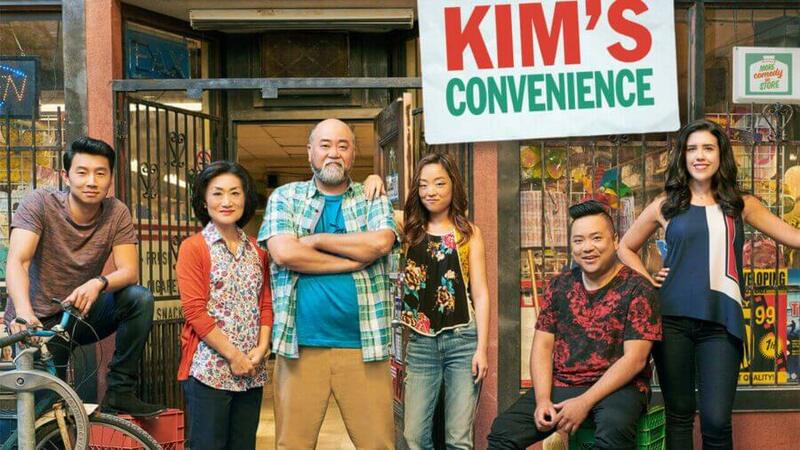 CBC’s Kim’s Convenience will be returning to Netflix for its third season on April 3rd, 2019 in the United States, the United Kingdom, and Australia. Kim’s Convenience is one of several shows Netflixers around the world enjoys from CBC. The biggest from the network have been hits like Heartland and Northern Rescue but in the comedy genre, Netflix also is currently enjoying new seasons of Schitt’s Creek and Workin’ Moms which recently became a Netflix Original. The series first arrived on Netflix in July 2018 when Netflix nabbed the first two seasons from CBC. Each season consisted of 13 episodes apiece. Season 3 aired on CBC in Canada from January 2019 and once again consists of 13 episodes. The series is due to air its finale on April 2nd, 2019 in Canada which means Netflix is getting the new season just a day after the series wraps up. The third season continues to the stories of the Kim’s who run a convenience store. Season 3 continues previous storylines with Paul, Sun-Hyung Lee, Jean Yoon, Andrea Bang, and Simu Liu all returning. It’s worth noting that the series wasn’t initially included in the April 2019 new releases list and we only got word of its impending Netflix release on March 27th. Netflix will continue being the primary place for Kim’s Convenience in most regions of the world. When will Netflix Canada get season 3 of Kim’s Convenience? We also believe that Kim’s Convenience will be arriving on Netflix in Canada throughout April 2019 but we’ve yet to confirm that it is the case. Previously, it’s taken a few months before new seasons come to Netflix in Canada. Will there be a season 4 of Kim’s Convenience? The even better news is that Kim’s Convenience is that the show already has its future secured. Season 4 was renewed back in May 2018. Given the quick renewal, we’d expect the series to air in Canada in late 2019 or early 2020 and then arrive on Netflix once again shortly thereafter. Are you looking forward to watching season 3 of Kim’s Convenience on Netflix? Let us know in the comments. Next story When will Jordan Peele’s ‘Us’ be on Netflix?